Sudan's Transitional Military Council arrested members of the former government and promised not to disperse the protesters. A spokesman urged the opposition to elect the next prime minister and promised to implement his choice. Months of protests in Sudan led to the overthrow and arrest of long-time leader Omar al-Bashir on Thursday. Demonstrators pledged to remain in the street until civilian rule was taken. Sedai continues in front of the defense ministry in Khartoum. At a press conference Sunday, General Shamms spokesman Ad-Din Shanto said the military council was "ready to implement" any civilian government that the opposition parties agreed on. Protests against rising cost of living began in December, but soon became a broader call for the removal of Mr Bashir and his government. But the demonstrators pledged to remain in the streets independently, demanding an immediate transition to a civilian government. Mr Ibn Auf himself withdrew the following day, as was General Chief Defender of General Salah Gosh. Lieutenant-General Abdel Fathah Abdelrahman Burhan was named head of the Transitional Military Council to become the third leader of Sudan in many days. 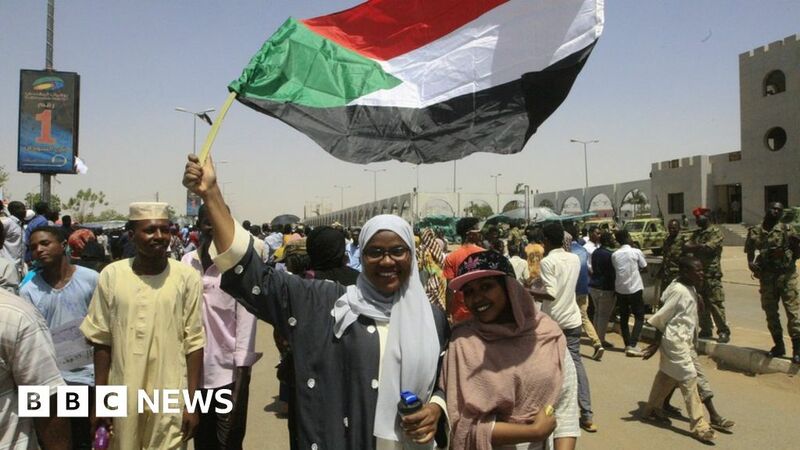 But the Sudanese Association of Pro-Democrats (SPA), who runs the demonstrations, said the Council's response "has not reached any of the demands of the people" and called for the protests to continue. Restructuring state security, arresting "corrupt leaders" and dissolving militias acting with former President Bashir. The location of the former Sudan leader is currently unknown, but coup leaders say he is safe. Mr Bashir is indicted on charges of war crimes and crimes against humanity in Darfur by the International Criminal Court. But the military council said it would not extradite him, though he could be sued in Sudan. The Bashir National Congress on Saturday called his surrender unconstitutional and asked the military council to release the party. Major General Shanto said the former ruling party would not participate in the civilian transitional government but could apply for candidates in the next election.